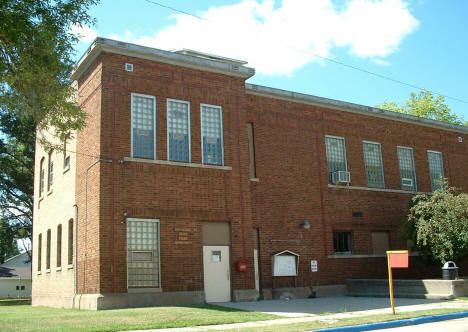 Do you have photos, historical accounts or other items pertaining to the Kinney area? Would you like to share this historical information with the world? LakesnWoods.com would like to publish your Kinney photos (current or historical) or historical accounts on this website. Original materials can be returned and your privacy will be respected. 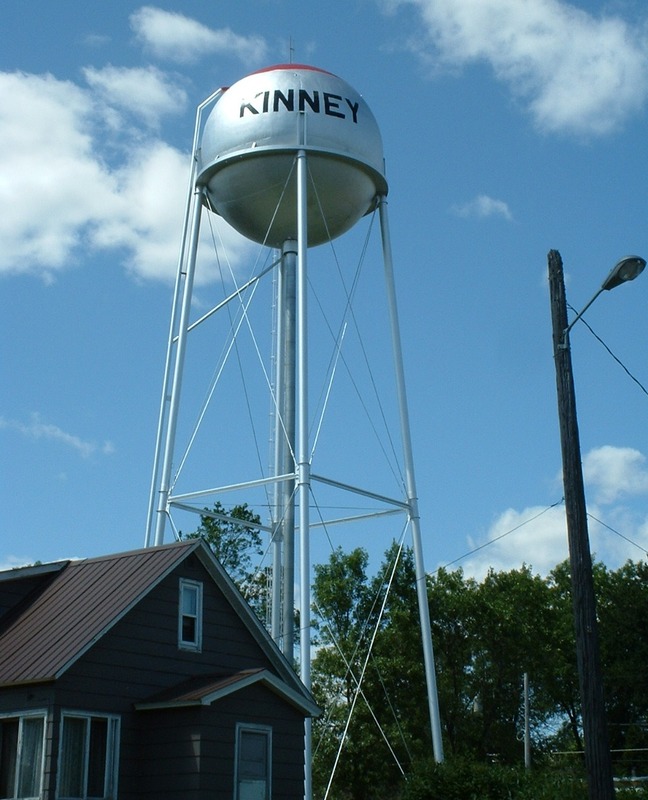 Kinney is a city in St. Louis County, Minnesota. Nearby US Highway 169 serves as a main arterial route in the community. 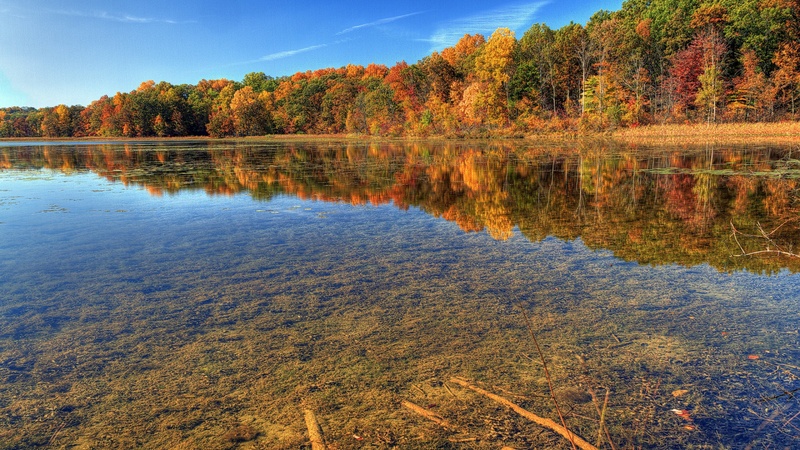 According to the United States Census Bureau, the city has a total area of 4.83 square miles (12.51 km2); 4.62 square miles (11.97 km2) is land and 0.21 square miles (0.54 km2) is water. The elevation is 1,542 ft (470 m) above sea level. As of the census of 2010, there were 169 people, 70 households, and 43 families residing in the city. The population density was 36.6 inhabitants per square mile (14.1/km2). There were 83 housing units at an average density of 18.0 per square mile (6.9/km2). The racial makeup of the city was 97.6% White, 1.2% Native American, and 1.2% from two or more races. There were 70 households of which 32.9% had children under the age of 18 living with them, 45.7% were married couples living together, 8.6% had a female householder with no husband present, 7.1% had a male householder with no wife present, and 38.6% were non-families. 27.1% of all households were made up of individuals and 7.2% had someone living alone who was 65 years of age or older. The average household size was 2.41 and the average family size was 2.88. The median age in the city was 40.1 years. 22.5% of residents were under the age of 18; 8.8% were between the ages of 18 and 24; 24.2% were from 25 to 44; 33.1% were from 45 to 64; and 11.2% were 65 years of age or older. The gender makeup of the city was 52.1% male and 47.9% female. 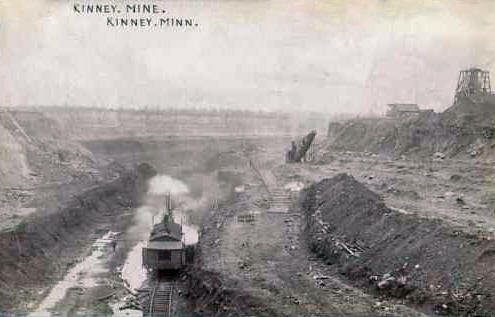 Kinney, a city in section 15, Great Scott Township (T. 58N, R. 19W), incorporated as a village on November 11, 1910, was named in honor of O. D. Kinney, a discoverer of the iron mines of Virginia and a founder of that city. The post office began in 1907. 1978 Republic of Kinney Passport, 0046 By 1977, the City of Kinney, with a population of 325 according to the 1970 census, suffered from a failing water system, and was faced with a staggering replacement cost of $186,000. 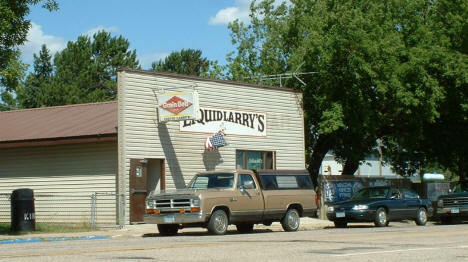 After numerous unsuccessful attempts to secure funding from state and federal agencies due to bureaucratic red tape, agencies such as: Department of Housing and Urban Development (HUD), the Federal Housing Authority (FHA), and the Iron Range Resources and Rehabilitation Commission (IRRRC), the city council was lead to believe that it would be easier to receive foreign aid if Kinney seceded from the union, declared war, and lost immediately. Mayor Mary Anderson and a supportive Kinney City Council sent the following July 13, 1977, 'tongue-in-cheek' secession letter to U.S. Secretary of State Cyrus Vance. 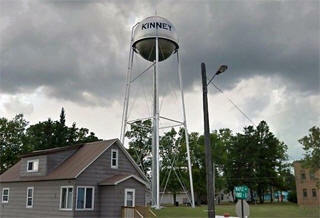 BE IT RESOLVED that the City Council of the City of Kinney, in Kinney, Minnesota, has decided to secede from the United States of America, and become a foreign country. 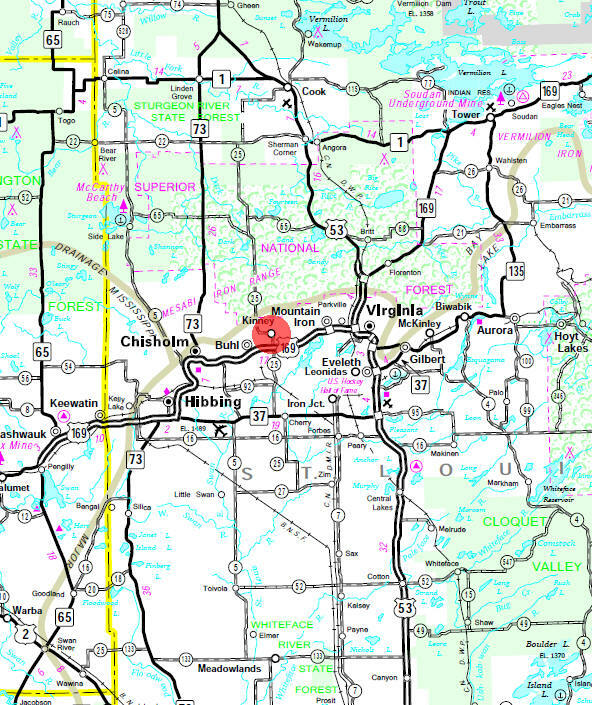 Our area is large enough for it. We are twelve square blocks, three blocks wide and four blocks long. We will be similar to Monaco. It is much easier to get assistance as a foreign country, which we need badly, and there is no paper work to worry about. If necessary, we will be glad to declare war and lose. However, if this is a requirement, we would appreciate being able to surrender real quick, as our Mayor works as a nurse in a hospital, and most of our council members work in a nearby mine and cannot get much time off from work. The secession was never officially acknowledged by Vance or the U.S. The news story broke locally in the Mesabi Daily News on February 5, 1978, in an article by Ginny Wennen entitled "Move over Monaco, here comes Kinney." The story garnered national and international attention beginning on February 7, 1978, when the story was featured on the NBC Nightly News with David Brinkley. Jeno Paulucci, a businessman based out of Duluth, Minnesota, was the first to acknowledge the new republic and offer ‘foreign aid’ in the form of a dark brown 1974 Ford LTD police squad car and 10 cases of Jenos Sausage Pizza Mix on February 13, 1978. 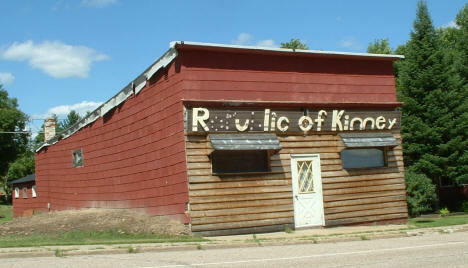 The squad car was painted with a Republic of Kinney shield on the driver’s side that read “Commander in Chief, Republic of Kinney,” and “Chief of Police, Kinney, MN.” on the passenger side. 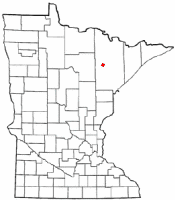 In November 1978, the Iron Range Resources and Rehabilitation Board (IRRRB) approved $198,000 grant, allocated in three payments of $66,000 per year from the Taconite Area Environmental Protection Fund, to repair the existing water system, construct cement runoff basins, and install additional fire hydrants. The Republic of Kinney would go on to create and sell over 2,500 passports at $1.00 a piece, buttons, t-shirts, and even a summer festival called ‘Secession Days’, which was first held during the weekend of August 1&2, 1987. The City of Kinney will celebrate the 30th Anniversary of its "independence" as the Republic of Kinney during the weekend of July 13-15, 2007. Mayor 12/31/2020 Michael H. Dahl Jr.